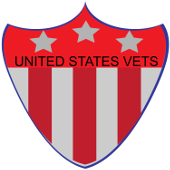 Veteran Health | US Vets Inc. The Mesothelioma Group provides free Veteran-specific resources and support for patients and their loved ones. Their goal is to increase recognition, improving survival rates and life expectancy. They are working to inform the public on the options available to mesothelioma victims. If you or a loved one suffer from mesothelioma or asbestos-related lung cancer, you may qualify for substantial compensation for your medical bills, pain and suffering. Use their free Asbestos Attorney Locator Tool to find a top mesothelioma attorney in your area. The people in the VA welcome home war veterans with honor. The vet center understands and appreciates the veterans war experiences while assisting them and their family members toward a successful post-war adjustment. The vet center provides a broad range of counseling outreach and referral services to combat veterans. All services are free of cost and strictly confidential. Honor America’s Veterans by providing exceptional healthcare that improves their health and well-being. The VA Form 10-0485 is designed to enable VA Medical to electronically share your VA Treatment records with your community doctors for more consistent care through the VLER (Virtual Lifetime Electronic Record) Health Program. If you want help completing the VA Form 10-0485, please call the VA at (419) 337-9266. For more information, download the info sheet.